This window displays a guest's graphical console. Guests can use several different protocols to export their graphical framebuffers: virt-manager supports VNC and SPICE. If your virtual machine is set to require authentication, the Virtual Machine graphical console prompts you for a password before the display appears. 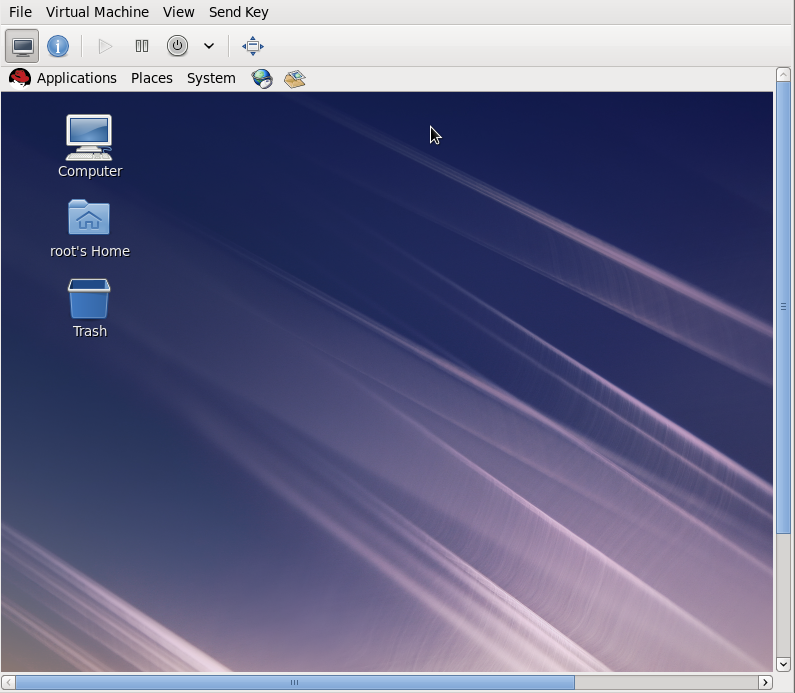 VNC is considered insecure by many security experts, however, several changes have been made to enable the secure usage of VNC for virtualization on Red Hat enterprise Linux. The guest machines only listen to the local host's loopback address (127.0.0.1). This ensures only those with shell privileges on the host can access virt-manager and the virtual machine through VNC. Although virt-manager is configured to listen to other public network interfaces and alternative methods can be configured, it is not recommended. Remote administration can be performed by tunneling over SSH which encrypts the traffic. Although VNC can be configured to access remotely without tunneling over SSH, for security reasons, it is not recommended. To remotely administer the guest follow the instructions in: Chapter 5, Remote Management of Guests. TLS can provide enterprise level security for managing guest and host systems. Your local desktop can intercept key combinations (for example, Ctrl+Alt+F1) to prevent them from being sent to the guest machine. You can use the Send key menu option to send these sequences. From the guest machine window, click the Send key menu and select the key sequence to send. In addition, from this menu you can also capture the screen output. SPICE is an alternative to VNC available for Red Hat Enterprise Linux.